Welcome to Lash Lift & Tint! The latest modern technique that lifts your lashes up from their roots, beautifully showcasing whole length of your lashes. Lash Lift can enhance your appearance with effortless lashes that are always perfectly curled. In just one session your eyes will be bright and beautiful, 24 hours a day! The lash lift lasts up to six weeks, depending on your natural lash cycle, and gives eyes a dramatic, doe-eyed effect. Your days of using eyelash curler can be gone forever with safe and effective LASH LIFT! Eyelash Tinting is perfect for women with blond, reddish, or light brown hair who want more clearly defined eyelashes. Eyelash Tinting can dramatically enhance the look of the eye area and is great for those who don't have time for eye makeup. You can throw away your mascara. Eyelash tinting will give your lashes a thicker, more prominent look, with each lash evenly tinted and separated. If you wear contact lenses, you don't have to worry about getting any mascara on them. These semi-permanent treatments are waterproof, so after your shower, or after a swim or any other athletic activity, you don't have to apply makeup to your lashes. Over-the-counter dye kits are not always eye-friendly and can cause allergic reactions. results last 4-6 weeks, or the natural growth cycle of the lashes. Therapy for your eyelashes - ORGANIC LASH BOTOX complementary with each treatment!!! Organic Lash Botox is the most advanced lash repair and nourishing formula worldwide. Organic Lash Botox is a treatment, during which each eyelash is covered with a special solution that protects lashes & repairs any damage. The solution is a powerful concentrate of active ingredients including Nigella Sativa Oil, Organic Simmondsia Chinensis Oil, Camelina Sativa Seed Oil, Hydrolyzed Silk Peptides adds incredible shine, softness and eliminates dryness. Organic Lash Botox makes lashes smooth, shiny, & dark. It restores the structure of the eyelashes, moisturizes and nourishes them. This treatment enables the eyelashes to grow thicker and longer from 30% to 50%. Organic Lash Botox not only nourishes but also helps to keep the pigment in the middle of the hair structure for even longer. Therefore, you will be able to enjoy deep, fresh colors and use the pool or sunbathe without fear. Eyelashes remain shiny and fully pigmented even 60% longer! The effects will last for up to 8 weeks. There are NO PARABENS or SILICONE in the solution. Lash Lift creates visibly longer looking lashes with a curl that lasts. Lash Lift means NO MORE harsh glue that may damage natural lashes. 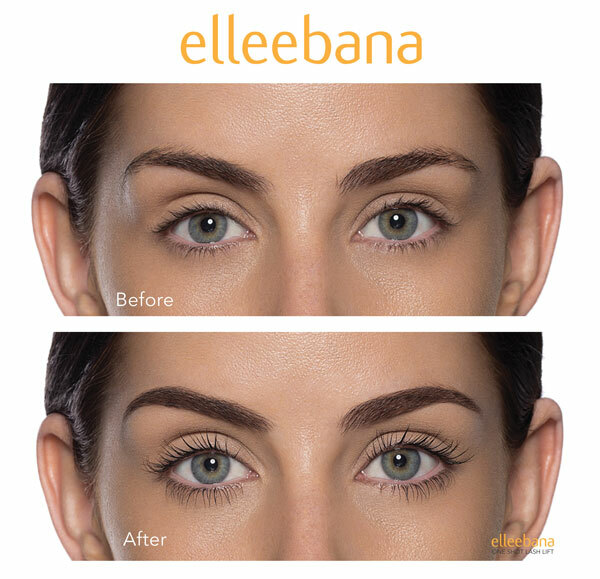 Lash Lifting uses �Silicone Rods or pads� to give you more of a lifting effect from the base of the eyelash to create a brighter, fuller, wide eyed look. Lash lift will lift, curl, and lengthen your own natural lashes and can be combined with a tint to leave the mascara behind. Lash Lift is great for people who may have previously worn lash extensions, don't want to wear eyelash extensions or taking a break from lash extensions. We specialize in Lash Lift. Visit our eyelash lif NJ offices in Fair Lawn Bergen county and West Orange Essex county NJ for a FREE consultation. Explore our site and learn more !